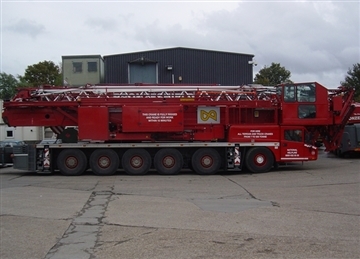 Bronzeshield Speirings SK1265 - AT6 is a 6 axle mobile tower crane with Saddle of Luffed Lifting Operations. It can be operated by remote control or traditional top cab operation. With multi wheel drive and steering it can traverse most construction sites. 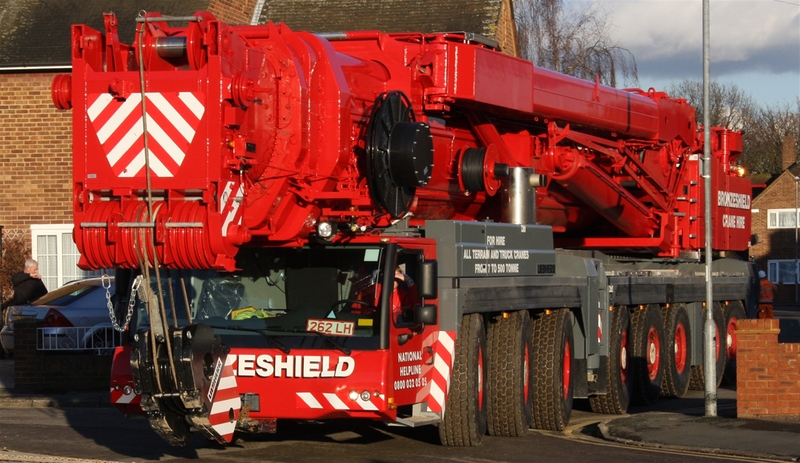 Once in position the crane can be erected and ready to work in as little as 20 minutes. Available for hire 7 days a week. For further information please click on PDF Download. 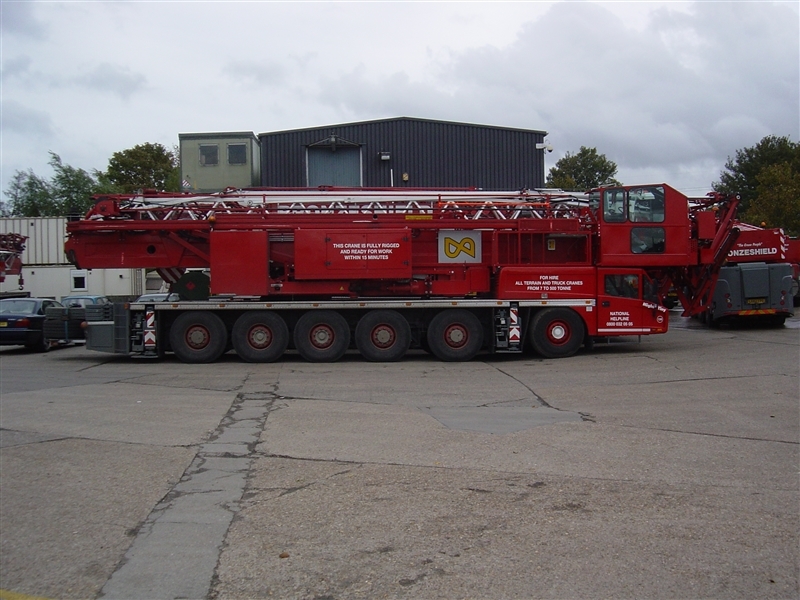 Mobile Tower Crane hire, 6 axle crane, Saddle of Luffed Lifting Operations, 1700kg @ 60m radius, remote operation or traditional top cab operation, multi wheel drive and steering.